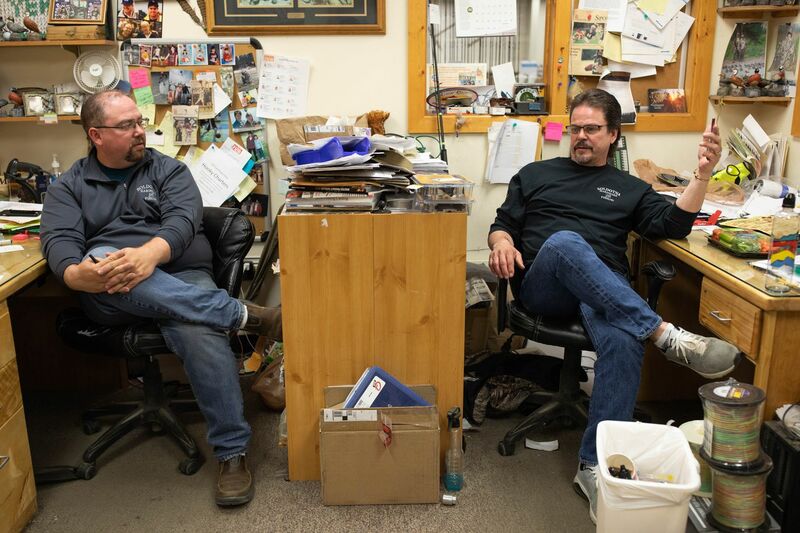 "You cannot help but feel some guilt when people do come all the way up, spend a lot of money to come to Alaska to fish the famous Kenai River and they can’t catch a king," one business owner said. KENAI — At Drifter's Landing, a small lodge and fishing guide operation on a quiet road near a bend of the turquoise Kenai River, Ken and Elizabeth Smith are debating whether to even operate in June next year. 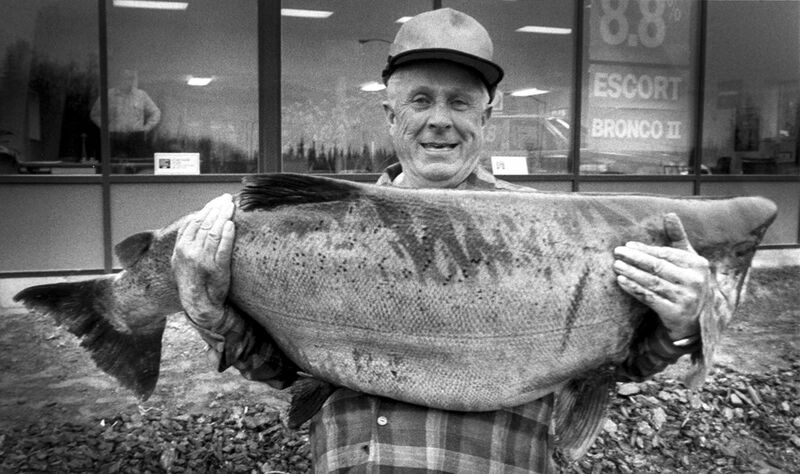 The first king Elizabeth caught — 54 pounds — was on their honeymoon in Alaska in 1985, with Ken as a guide. But dismal king salmon sportfishing in the recent past has forced the Kenai operation to diversify away from trips that focus on those prized fish, which have long anchored the business. Now, the Smiths offer more excursions for halibut and clams, and also offer flyout fishing trips through other companies. "You cannot help but feel some guilt when people do come all the way up, spend a lot of money to come to Alaska to fish the famous Kenai River and they can't catch a king or can't even have the opportunity to catch a king," Elizabeth Smith said. The effect of weak Kenai king salmon runs in recent years is shaking out all around the region. One Soldotna store sells less of its pricey king gear and more equipment for sockeye fishing — and its staff has shrunk. Guides are running fewer trips out on the river each day, and there are just fewer guides. Some say a king salmon fishing season that used to stretch over several months is largely getting compressed into July. And it's not just fishing businesses that are feeling the hurt. "It's very important. Sportfishing for the Kenai Peninsula is the No. 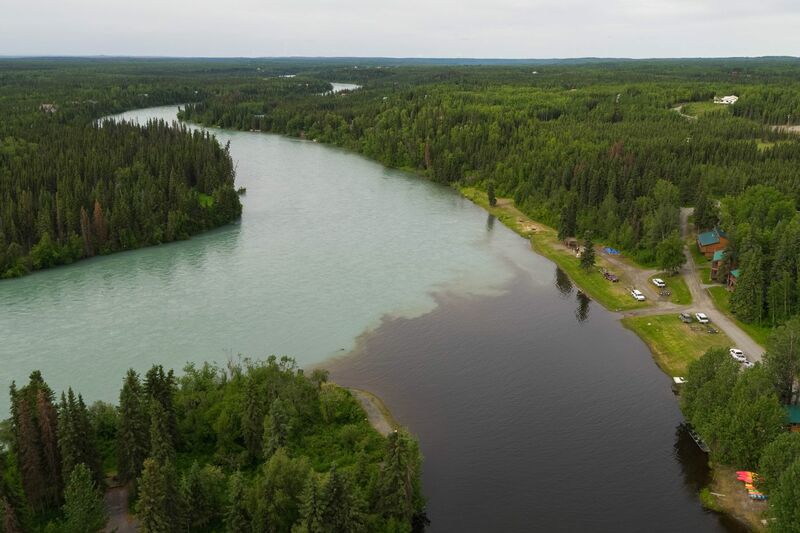 1 visitor draw for people to come down and do either guided or unguided," said Ricky Gease, executive director of the Kenai River Sportfishing Association. "A lot of the residents or B&Bs that have focused on king salmon fishing, a lot of that also dried up." A widespread king salmon decline in fisheries around Alaska started about a decade ago, though 2017 on the Kenai was a good year. Lately, returns just aren't what they used to be, said Matt Miller, Cook Inlet management coordinator with the Alaska Department of Fish and Game. "The effect on the community, from a manager's perspective, it's been pretty devastating," he said. In mid-June, Fish and Game announced the entire Kenai River would be closed to king salmon fishing. That came after other Kenai Peninsula king sportfishing closures on the Anchor and Ninilchik rivers. About a week ago, Fish and Game also announced a closure for Ship Creek in Anchorage, citing weak returns. On a recent quiet morning, at the Izaak Walton campground site where the inky waters of the Moose River join with the light blue Kenai, a sign posted on the bank told would-be anglers of the emergency order prohibiting king salmon fishing from mid-June to the end of July, with the word "Closed" in big red letters. Measly king salmon returns are also affecting other fisheries, from Southeast Alaska to the Susitna River drainage. But along the renowned Kenai River, which snakes for 82 miles from Kenai Lake to Upper Cook Inlet, a significant chunk of the economy is built up around fishing. Thousands of anglers visit every year, spending their cash at restaurants, hotels and other businesses along the way. At Acapulco Mexican Restaurant on the Sterling Highway in Soldotna, server Dee Roddis said the eatery is quieter in the early part of salmon fishing season than it used to be. For years now, business starts picking up later and later into the summer, she said. Roddis still makes a living there, but she can't help but worry about the future if fewer tourists come up to fish for kings. She even stopped fishing herself years ago because of the decline, even though she loved the unique fight and adrenaline of capturing a chinook salmon. "We're doing fine, but the decline is steady. And the tourists get mad," she said. "They spend all that money to get up here and they get upset. It's an expensive thing. And then you lose them, they don't come back." One tourist Alaska already lost is Jason Ryskamp, from Colorado. In a strongly worded email to Alaska Board of Fisheries Chair John Jensen, Gov. Bill Walker and others, Ryskamp told of how he's fished for kings here before but won't be coming back after this year. "King numbers went from plentiful 15 years ago to extremely low," he said in the email. "Take king salmon out of the equation and AK becomes non-competitive as a fishing destination. … Trout fishing is great in Alaska, but I do not come here to fish trout." Lance Blakeley was visiting Alaska from Northern California at the end of June and staying at Drifter's Landing with a friend who had caught kings up here long ago. But not this time. Nearing the end of their trip, they'd caught 14 sockeyes. Two young men stood just off the deck cutting and cleaning the bright pink fillets on a recent Friday afternoon, the smell of fish in the air. "It's a little bit of a disappointment. You plan your trip around the kings," said Blakeley, who donned a ball cap and a camo-patterned sweatshirt. "We've been fishing every day." The people who take anglers out on the river are feeling a pinch. 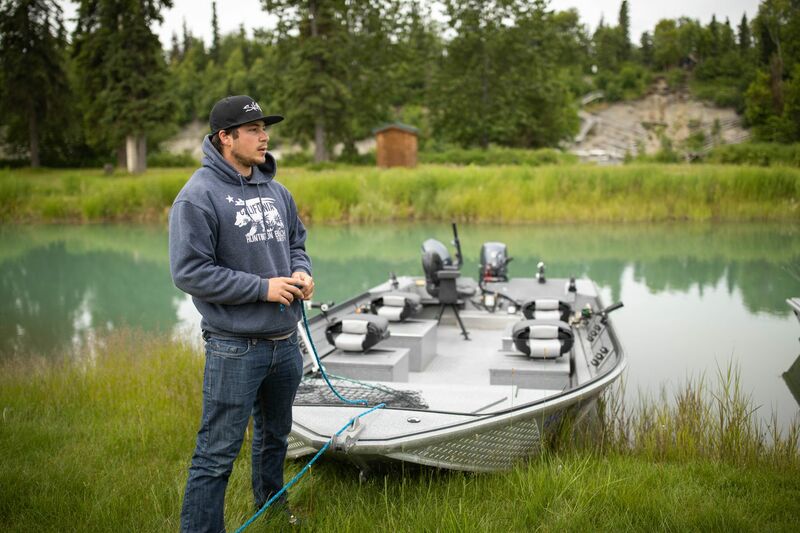 Chad Porterfield came up from Oregon to work as a guide this summer at RW's Fishing and Big Eddy Resort on the outskirts of Soldotna. In June, he said, things were slow. If there were kings to fish for, he'd be running two trips a day. As things are, he'll do one trip a day, if that. "It's a bummer," he said. "You definitely don't make as much money when the kings aren't running." Monte Roberts, co-owner at a sportfishing business called All Alaska Outdoors Inc., used to go out on two or three trips a day throughout May and June. By June 11 this year, he was only on his fifth paid trip of the season. He had just one paid trip in May. "It's horrible," he said in a phone interview in mid-June from a shore where he was trying to catch sockeyes. His business used to be able to keep five guides busy, but now he's the only full-time guide. They don't even market trips for kings anymore, he said. What happens on the river ripples out to retailers, too. Soldotna Trustworthy Hardware and Fishing on the Sterling Highway is a go-to spot in town for gear. Moose and bison heads and mounted fish overlook rows of dip nets and more than 1,000 kinds of fishing rods. The king fishing gear is some of the priciest. But as the fish have waned, so too has business selling equipment to catch them. "Definitely a significant hit to us over the years with the kings suffering," said Scott Miller. He and his brother Brian Miller own the store. They used to go out fishing for kings all the time after work, but Brian hasn't gone in five years now. "People are pretty apprehensive about investing in king gear." Now, they focus a bit more on selling sockeye gear. They've expanded their options for saltwater fishing, and gear for halibut and lingcod charters. They sell far fewer of the flashy king lures that hang on one of the walls in the brothers' store office. "People come to Soldotna because our star is the fish," said Roddis, at Acapulco Mexican Restaurant. "The star of our show is the salmon. And if we don't have our star, people aren't going to come up here like, 'Woo-hoo, I'm going to rainbow trout fish in the Kenai River.' I've never heard that." Chinook sportfishing also serves as an anchor for a lot of trips, Gease said, and people will book other activities around that. "It's affecting our whole area," said Steve McClure, who's had a guiding business there with his wife for 20 years. 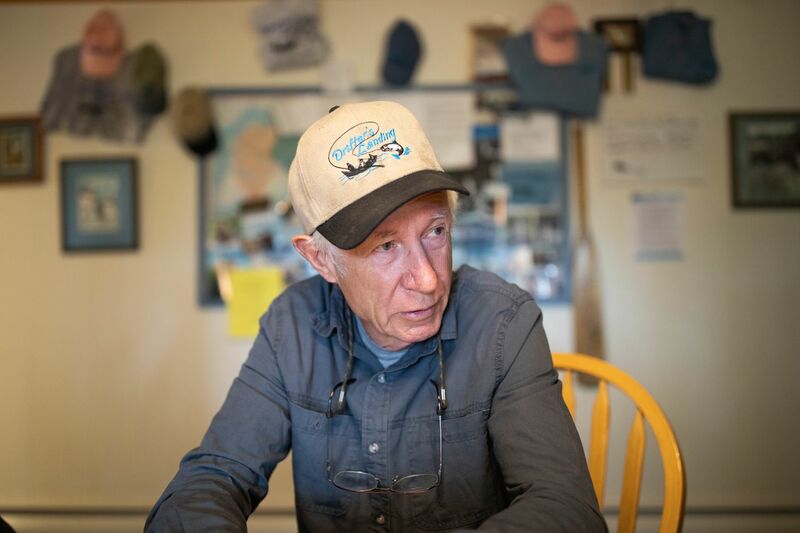 "If they're not coming here to king fish, they're not going to Homer to go halibut fishing." The king decline prompted them to diversify and buy a halibut boat a couple years ago. "Almost had to — was sitting on the beach, had to do something," McClure said. The Kenai River's personal use dipnet fishery, set to open on Tuesday, also has restrictions on kings this year. Fish and Game issued an emergency order this past week that said any kings caught incidentally by the hordes of Alaska residents who will flock to beaches to fish must be released immediately. 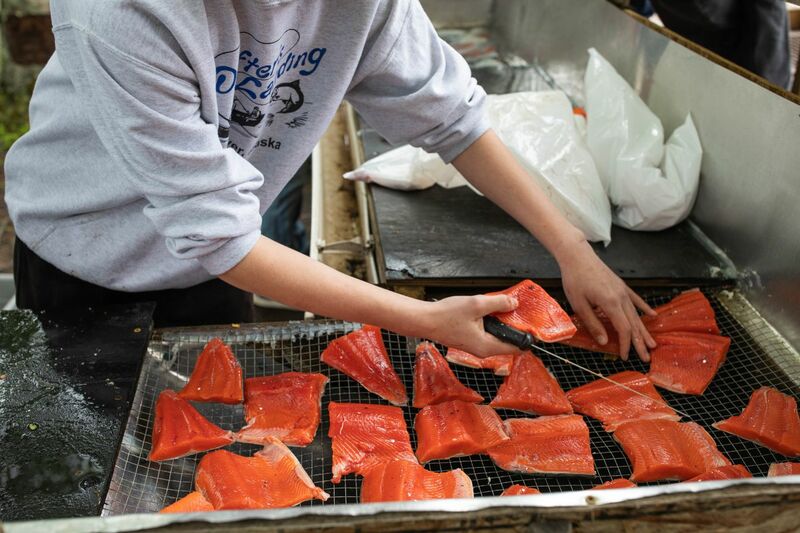 Why king salmon runs have diminished is the "billion dollar question," said Matt Miller, Fish and Game's Cook Inlet management coordinator. It's probably a confluence of factors that prevent the fish from coming back after they leave freshwater as juveniles, he said, but it's still unclear. This recent period of low productivity for kings around the state started around 2009, he said. The Kenai sportfishing king harvest dipped that year. After a closure in 2012, the chinook harvest there dropped to about 100 from more than 7,300 caught in 2011, according to numbers from Fish and Game. Still, Matt Miller stressed, there have been stretches of dismal harvests for king salmon before, like in the late 1980s and early 90s, and numbers rebounded. "They came back before," he said, "so we're pretty optimistic that this is not the new normal for kings." For about 15 years, there have been ups and downs, "but mostly downs" when it comes to fishing for kings on the Kenai in June, said Ken Smith at Drifter's Landing. He and Elizabeth come up to run the business in the summer from Idaho, where they live the rest of the year. In July now, he said, most guide operations focus on catching sockeye instead. "You really have to juggle things around to try and utilize days, to get people out fishing for something," Elizabeth said. "It is a puzzle." And it's not just about the business. "I live and breathe to fish for kings and it hurts me personally not to be able to fish for them," he said. "It hurts to see this magnificent run here being in the situation it's in." The uncertainty about whether fish will show up, or whether there will be closures and restrictions in any given year, is one big factor that lodges and guides face. Because last year was decent, bookings this year were good, Ken Smith said. "Our biggest complaint from customers is that there's just so much inconsistency and then, all of a sudden, we've had closures again," said Scott Miller. "And hearing from people that they're selling houses, moving out." Their store has also had to adjust how much it donates to local community organizations over the years, Scott said. There has long been tension between commercial fishermen and the sportfishing side about who faces limits on what they can catch and keep. Some in the sportfishing industry would like to see more restrictions, in hopes of the runs rebounding later. "I feel like maybe there should be a total moratorium," said Reed Plachta, another guide at RW's Fishing and Big Eddy Resort, wearing waders and a Gore-Tex jacket. "We're basically desperate. It's a desperation situation. … We'd rather not fish, and have the fish come back."